One of the smartest ways to serve your business and elevate your brand is by writing a book – if you have a strong brand, you know your why, you are clear on your zone of genius, and you’ve identified your ideal/target client. 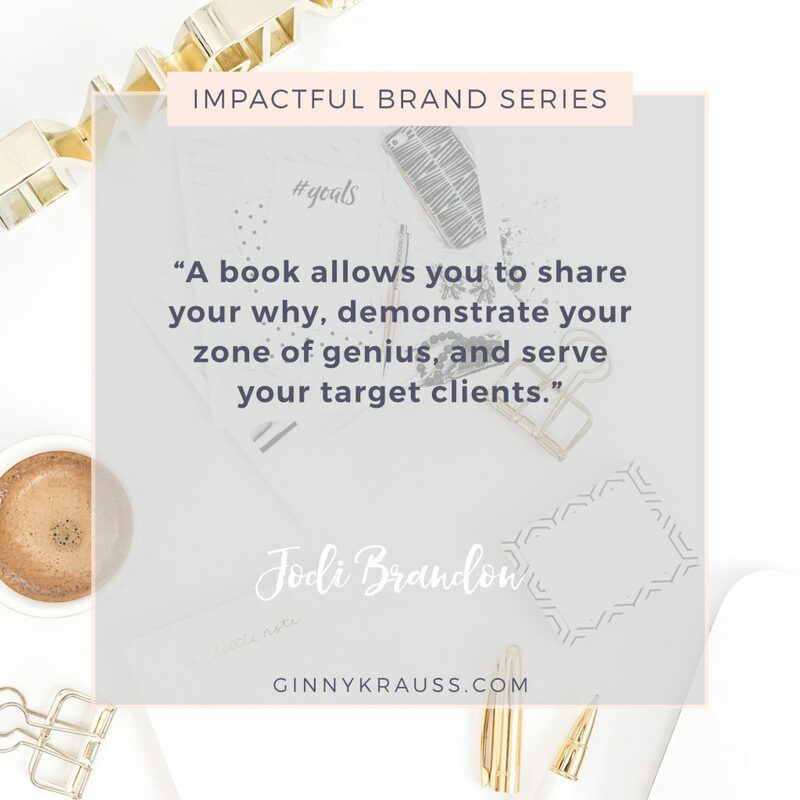 A book allows you to share that why, demonstrate that zone of genius, and serve those target clients – many of whom will be part of your target book audience. In other words, a book can bring you credibility, authority, and visibility, which can lead to business growth. As creative entrepreneurs, we know how important the know, like, trust factor is. Intentionally sharing ourselves and parts of our personal story helps our audience get to know and like us. Trust goes hand-in-hand with credibility. We can be nice people, but that doesn’t mean we’re the best at what we do, and therefore worth the investment in us, right? A book helps people see that we are, indeed, credible and trustworthy. The book itself does this, of course, with its content, but a book marketing plan reinforces this. When a book is launched, authors are all over the place – as podcast guests, as guest bloggers, as interviewees. They’re showcasing their knowledge and allowing new, potential audiences to get to know, like, and trust them. Visibility is a goal for many creative entrepreneurs, and I am no exception. One of my core values is to keep learning, so I attend the annual conference of the American Copy Editors Society each spring. It’s important to me — and to my clients — that I am up-to-date on all things book editing. A couple years ago, at the first conference since the release of my latest book, Write.Publish.Market., I was presenting a session on working with self-publishing authors. The morning of that session, the Society tweeted out, “Be sure to stop by merch table after @JodiBrandon’s session to pick up a copy of her book.” They were showing their audience that their presenter is credible (as a published author). As a result, many of my colleagues attended my session and noted that my book would be a great resource for their potential clients. I share that story not for a pat on the back but to demonstrate visibility- and credibility-building in action. Word-of-mouth can generate business for us, especially if we have a strong brand. I am often asked, “Can’t a signature course do the same thing as a book?” Sure it can. But for entrepreneurs who are working on building that know, like, trust factor and don’t have tens of thousands of followers on social media (yet! ), the price point of a signature course versus the price point of a book can be a deal-breaker – hundreds of dollars versus less than twenty. Both can elevate your brand. A book and a course are both a lot of work. Many entrepreneurs think of a course first because they don’t see themselves as writers. Please don’t let that stop you! I have worked with many, many entrepreneurs and bloggers over the years who have taken a book and turned it into a signature course or program with great success. One reason for that? Their book established them as trusted authorities in their particular niche and allowed them to use their book as a platform springboard for them and for their brand. This blog post is part four of the Impactful Brand Series – an eleven-part series to help you build an impactful brand in 2018. If you don’t want to miss out on this series, be sure you are on my email list to be notified each week when a new piece in the series is released. Next up in the series: What Does Your Pricing Strategy Have to do With Your Brand? Jodi Brandon has more than 20 years’ experience in book publishing. 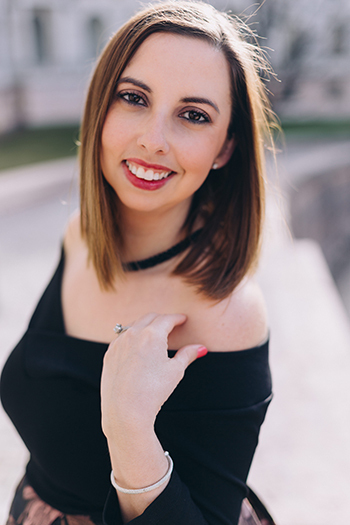 After many years working in traditional publishing, Jodi’s passion these days is working as a book editor and writing/publishing coach for creative entrepreneurs and solopreneurs who want to up-level their business with a book. You can find more from Jodi on Facebook, Instagram, Twitter, and Pinterest.